The legal analytics platform Lex Machina, which is owned by LexisNexis, has been steadily expanding its coverage into new practice areas, and today has added insurance litigation. 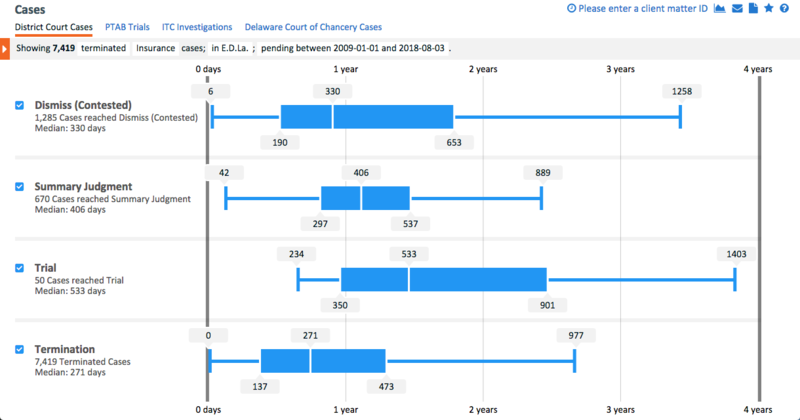 The new module provides analytics for more than 92,200 cases pending in federal court since 2009 that involve disputes between an insurer and a policyholder, a beneficiary, or another insurer asserting the rights of a policyholder. These insurance cases make up the third-largest case set on the Lex Machina platform, the company says, with court-awarded damages totaling nearly $2.8 billion. The module covers a variety of policy types, including homeowners, automobile, life, commercial liability, professional liability, uninsured/underinsured motorists, health, disability income, and others. It does not cover Medicare, Social Security disability and ERISA claims. It includes only insurance cases (including class actions) that were litigated in federal district court, and in which parties that reside in different states dispute claims involving more than $75,000. With its expansion into insurance litigation, Lex Machina now covers 10 practice areas: patent, copyright, trademark, antitrust, securities, employment, commercial, product liability, federal bankruptcy appeals, and insurance litigation. In the process of creating this module, Lex Machina added 50 insurance-specific case tags and annotations to better enable users to find relevant cases and filter out others. 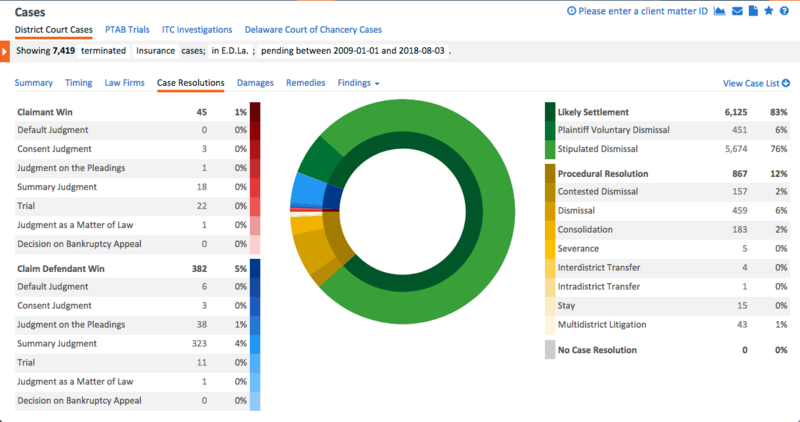 Lawyers can use these analytics to see the track records of opposing counsel and parties, the experience and behaviors of judges, and key factors about cases, such as case timing, findings and damages. Forty-two new findings, including: Duty to Defend, Duty to Indemnify, Bad Faith, Insurer Negligence, Policy Exclusion, Failure to Pay Premium, Insured Fraud, Unjust Enrichment, and Estoppel/ Waiver. Two Insurance Remedies: Rescission and Reformation. For anyone interested in learning more about the insurance litigation module, Lex Machina is presenting a free webcast Thursday, Aug. 9, at 1 p.m. Eastern time. You can learn more and register here.